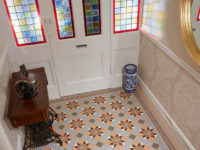 We supply and install a superb selection of Victorian tiles in a range of colourful and striking decorative patterns. 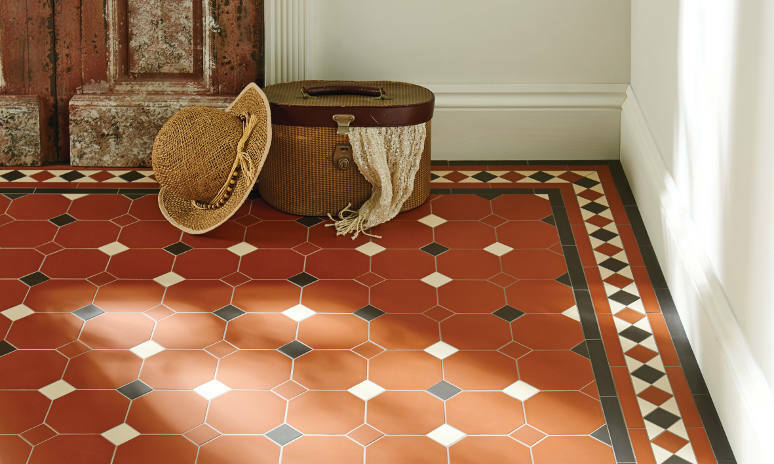 A big interiors trend, many designers are using Victorian tiles to create intricate displays on walls and floors to bring a beautiful vintage touch to your décor and add a touch of class and grandeur to your home. 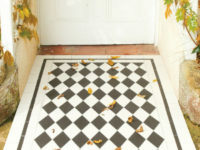 This stylish geometric patterned flooring first appeared in the Victorian era, making an appearance in many stately homes, historic buildings, wealthy homes, churches and museums. 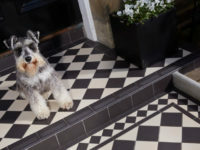 The Victorian style has recently seen a re-emergence in popularity, with home owners looking to add stylish heritage feature tiles to their bathrooms, kitchens, paths and hallways. 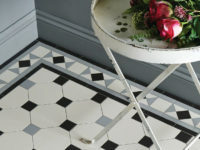 Victorian floor tiles are the perfect way to inject charm and character into your home. 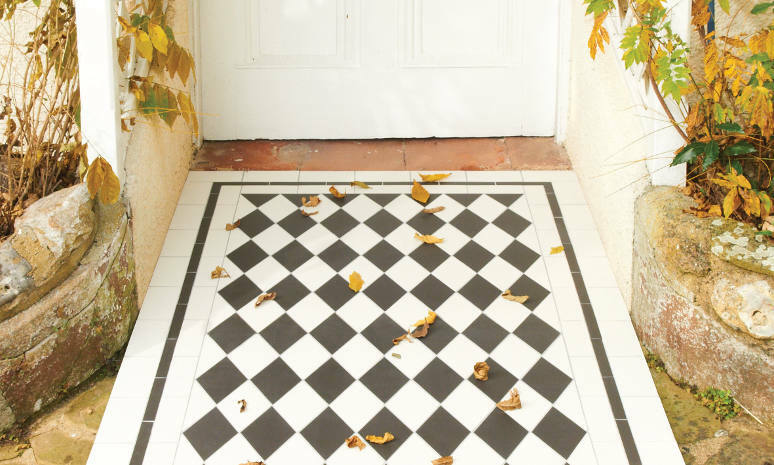 In Victorian houses, tiles were everywhere, often starting with intricately patterned tiled paths leading up to the front of the house. Our ancestors loved to play with geometric designs and rich colours while maintaining a practical surface for the home, and there’s no reason why we can’t do the same in our modern homes. 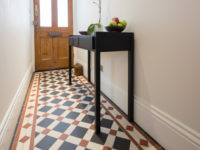 If you want to set the scene for what’s to come, making a style statement before you even reach the front door, Victorian tiles are the way to go. 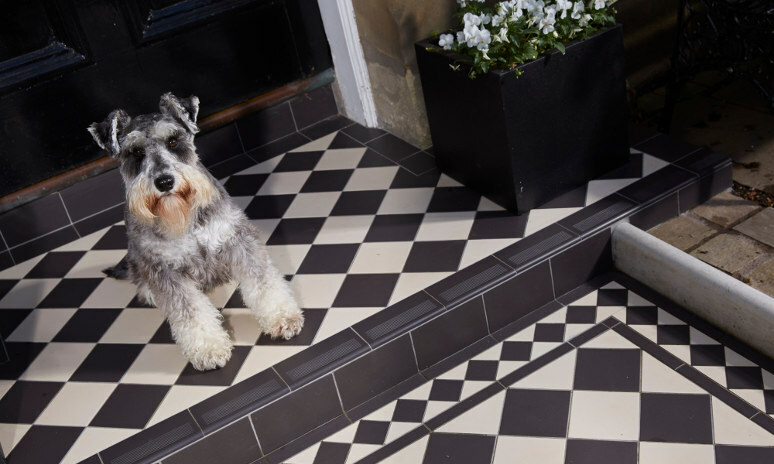 Tiles for porches and entrance ways can add a timeless grandeur and character to your house, while different colour combinations can provide stunning visual accents. Porch tiles are not only a beautiful style feature, they’re also a very practical solution for what is a high traffic area in your home. First impressions count, particularly as you enter the home. 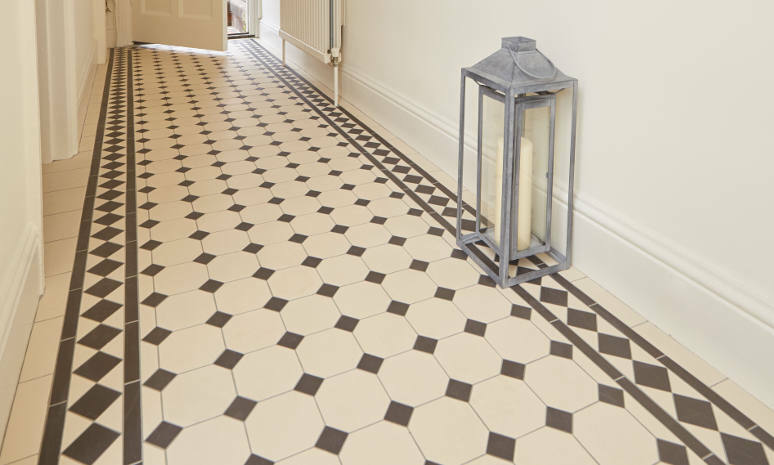 A classic look from the Victorian and Edwardian eras is a black and white checkerboard patterned tile floor to turn a mundane hallway into something quite special. 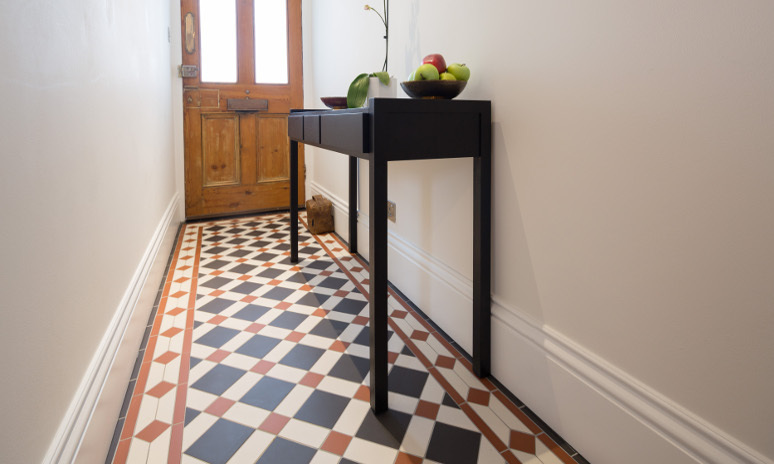 If you want to add warmth, there’s a wealth of wonderful terracotta based patterns that will make your hallway into a feature all its own. Create a unique style in your kitchen with traditional Victorian tiles in highly detailed patterns. 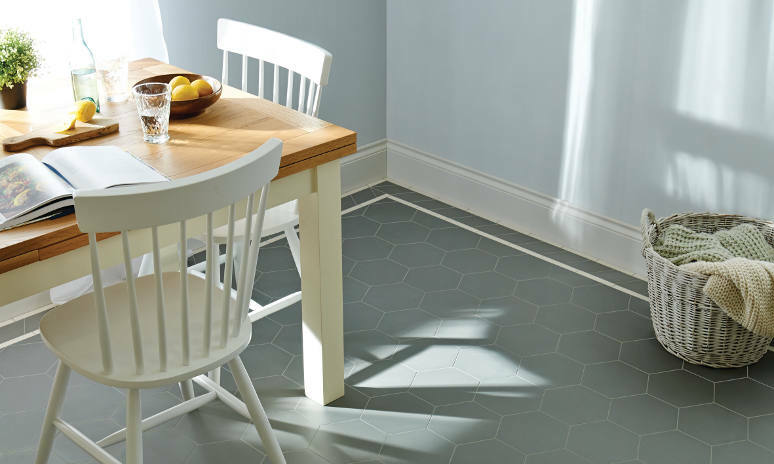 Whether you wish to achieve a classic farmhouse kitchen look or a clean modern aesthetic, eye catching tiles can provide the perfect complement or contrast. For an open plan kitchen/living area, a striking Victorian tiled floor can set the tone, inspiring the overall interiors scheme. Add pizzazz to your bathroom by pairing a classic white suite and neutral walls with a high impact Victorian tiled floor. Choose from colourful mosaics, classic monochromes or warm terracotta designs, and think about adding a decorative border too. Perfect for family bathrooms, shower rooms and wet rooms, this style statement will ooze class and sophistication with a nod to British heritage design. Embrace the beauty of the Victorian era as you step into your conservatory. 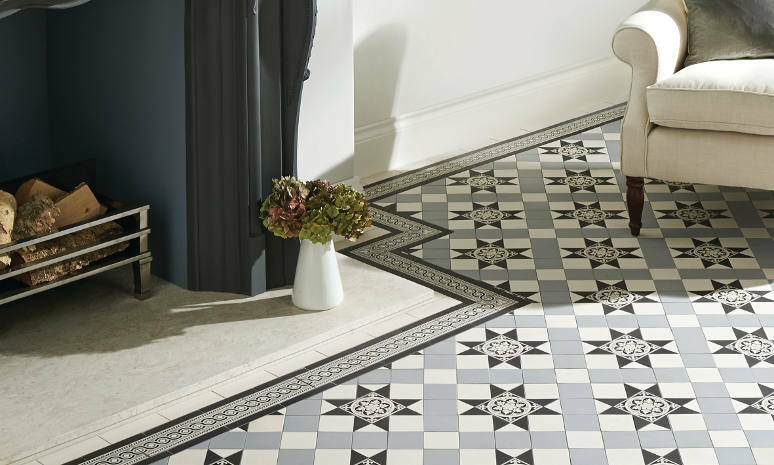 Combining the practicality of a tiled floor with intricate Victorian era inspired patterns in classic shapes and styles will give you more than an everyday floor that can withstand heavy traffic – it will make an incredible centrepiece. 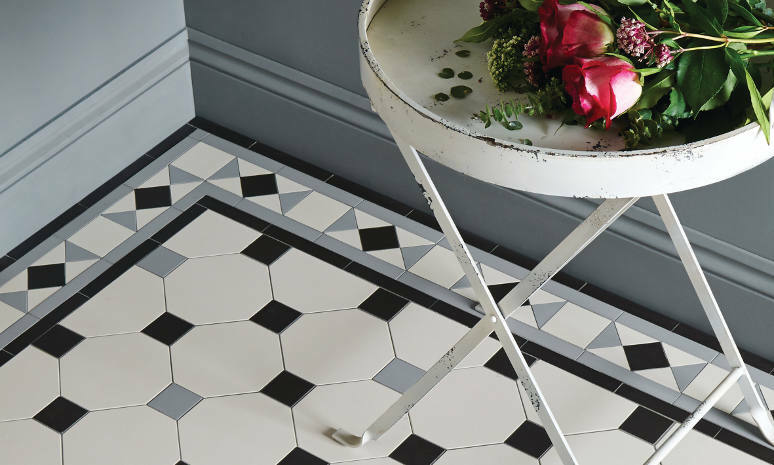 If you are looking to bring a quintessentially British flavour to your home, then adding a feature floor using Victorian tiles is the perfect way to achieve the look. 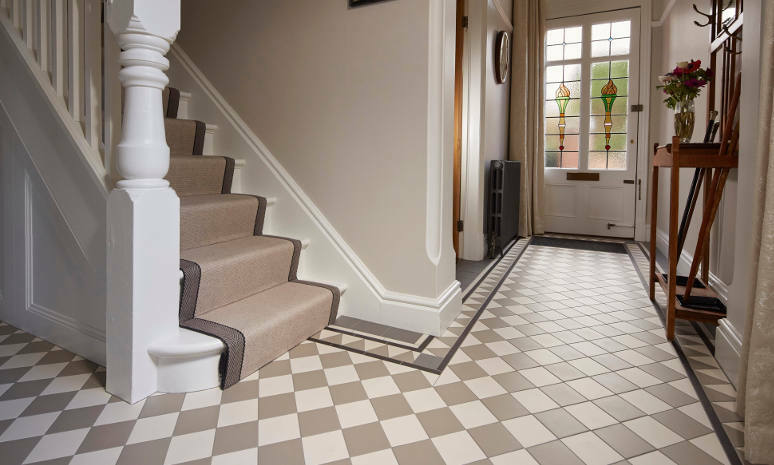 Whether you are restoring an old building or adding heritage features to a modern home, Victorian tiles are a beautiful and versatile choice. For visual inspiration, browse our Victorian tile portfolio below. 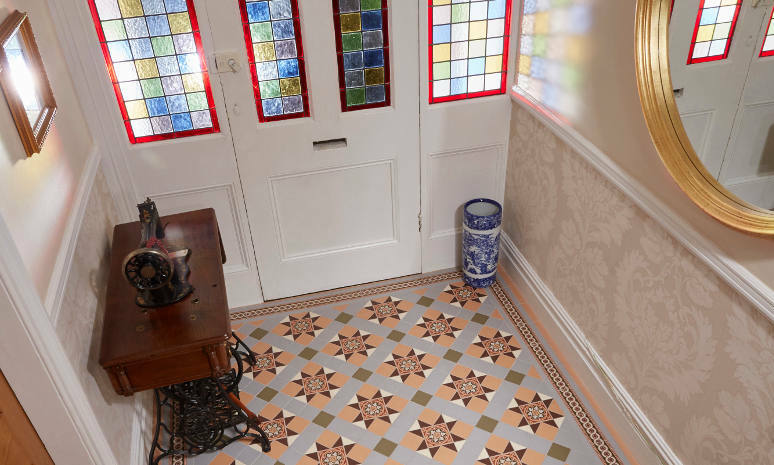 The cost of installation for Victorian tiles may be higher compared to, say, fitting carpet or laying laminate flooring, but the results are worth every penny – the stunning visual effect of intricate geometric patterns is hard to beat. 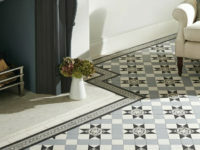 Many Victorian geometric floors have survived well over 100 years of heavy traffic resulting from everyday family use. 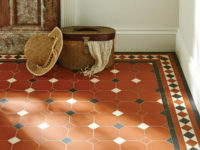 When you compare this with the inferior durability of most modern floor coverings, Victorian tiles are a fantastic investment. Due to the cost of materials and skill required for installing Victorian tiles, we would not recommend doing the job yourself. 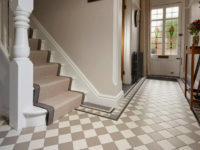 At the Tile Emporium, we can both supply Victorian tiles and offer a professional fitting services so that you get the best possible results. We have a team of exceptional, experienced craftsmen, all of whom have a varied and extensive portfolio of work to demonstrate their consummate skill in the trade. Many Victorian patterns contain over 100 different pieces per square metre and come with intricate boundaries that must be incorporated into the design. Our high grade fitters make a perfect job of matching up complex designs every time. We offer a free survey and consultation to customers in Sussex, Surrey and Kent to assess the suitability of installing our Victorian tiles. You will receive a quote and all the information you need to make the decision to proceed with your project. 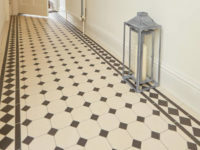 The Tile Emporium is a family run tile business based in Reigate, Surrey. We pride ourselves on our high quality products and services, exceptional workmanship and great customer service. In addition to supplying a wealth of high quality natural stone tiles for your home, we also offer a professional fitting service, courtesy of our team of exceptional craftsman. We are Reigate’s only supply & fit tile shop.